It is basically a cap that combines aluminum and plastic, with a ring that, by pulling it, separates the central part of the body from the sides, to the point where the clamping is so precarious that it eventually detaches from the bottle. That's why it is also known as rip cap. 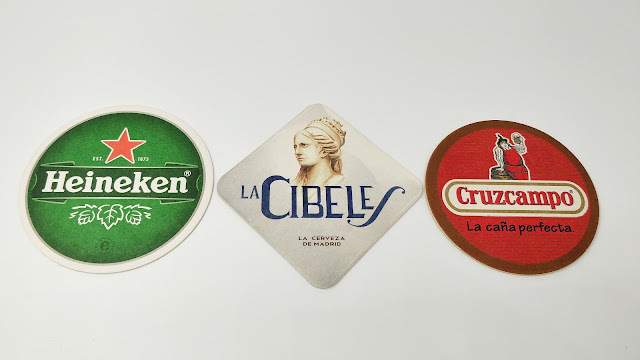 Locally, they began to be popular with Estrella de Navidad, being the edition they released in 2009 the first to incorporate this cap. 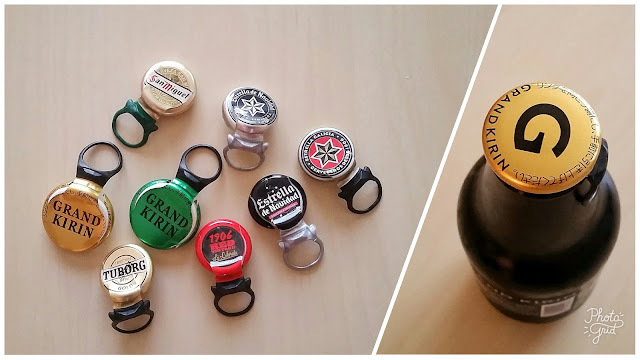 Later, other big brands, such as San Miguel, have also opted for the ring pull cap for some of their products. In spite of being practical, since it is not necessary to have an opener to uncover the container, this element is bittersweet. At least for those with the collecting streak, since there is no way -unless that I am aware of, although I haven't desperately looked for it- to remove these caps without spoiling them. Attempting to straighten them later tends to be useless. It seems that the only possible way to have them in good condition is to directly ask for them to the breweries. I remember how, just after their appearance, there was a certain fear that they would become popular and would eventually relegate the standard cap to the background. Or replace it in a minimum percentage. But time clearly tell us that the crown cap collectors lobby was executive and did its job on time.